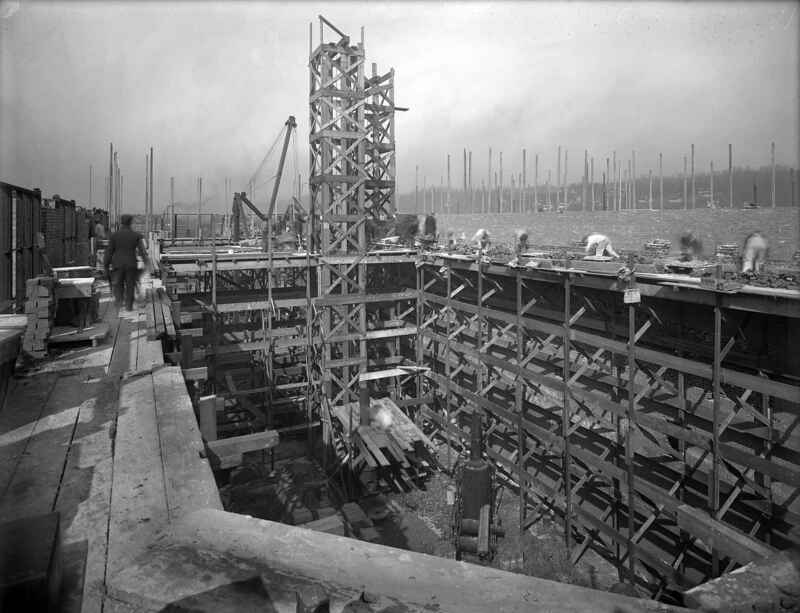 View of construction on the boiler room at Aspinwall Pumping Station, looking west. Waterworks--Pennsylvania--Pittsburgh--Design and construction. ; Pumping stations--Pennsylvania--Pittsburgh. ; Dwellings--Pennsylvania--Pittsburgh. ; Blue collar workers--Pennsylvania--Pittsburgh. ; Lincoln-Lemington-Belmar (Pittsburgh, Pa.).